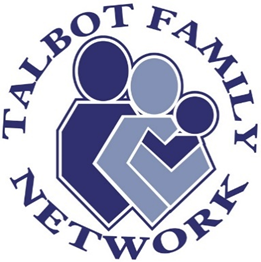 “Getting Ahead in a Just-Gettin’- By World,” a collaborative program of the Talbot County Department of Social Services (TCDSS) and Talbot Family Network (TFN), enters its second year with new community sessions starting September 4 and running through November 27, 2018. This program allows participants to explore the impact that poverty and low wages have and what it takes to move from just getting by, to getting ahead and realizing the future that they really want. Individuals can sign up on their own or be referred by one of the programs community partners, like Chesapeake Multicultural Resource Center, Talbot Interfaith Shelter, Mid-Shore Fresh Start Program, Inc., the Talbot County Department of Social Services, or the Talbot County Detention Center. Participants take part in a 13-week workshop, meeting two hours a week in small groups where they have problem-solving discussions and investigations. Weekly stipends, childcare, dinner and transportation assistance are offered to participants in the program. The “Getting Ahead in a Just-Gettin’- By World” program meets at the Easton Family YMCA in Easton on Tuesdays from 5:30 to 7:30 p.m. beginning on September 4. Persons interested in participating in this program or individuals or organizations wishing to refer individuals to the program should contact Paris Quillet, Special Projects Coordinator, TCDSS, at 410-770-5870 or email paris.quillet@maryland.gov.